Legendary Winston Cup NASCAR driver in the 1980s and 1990s. He won seven Winston Cup Series Championships as well as the 1998 Daytona 500. He disapprovingly followed in his father's racing footsteps, even dropping out of school to pursue it. He was inducted into the NASCAR Hall of Fame in 2010. He was the son of Ralph Earnhardt and Martha Coleman, and he grew up with his sister Kelley and two half siblings. 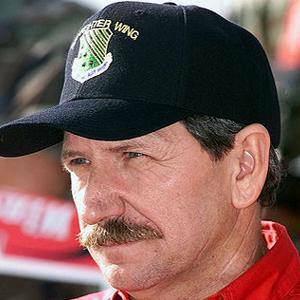 He was married to his third wife Teresa Earnhardt from 1982 until his death in 2001. His son Dale Earnhardt Jr. became a very successful NASCAR driver as well.